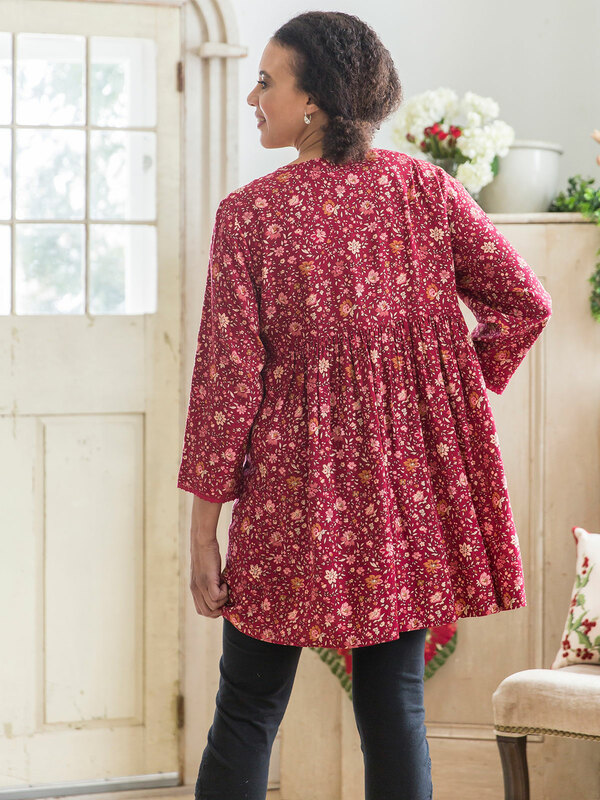 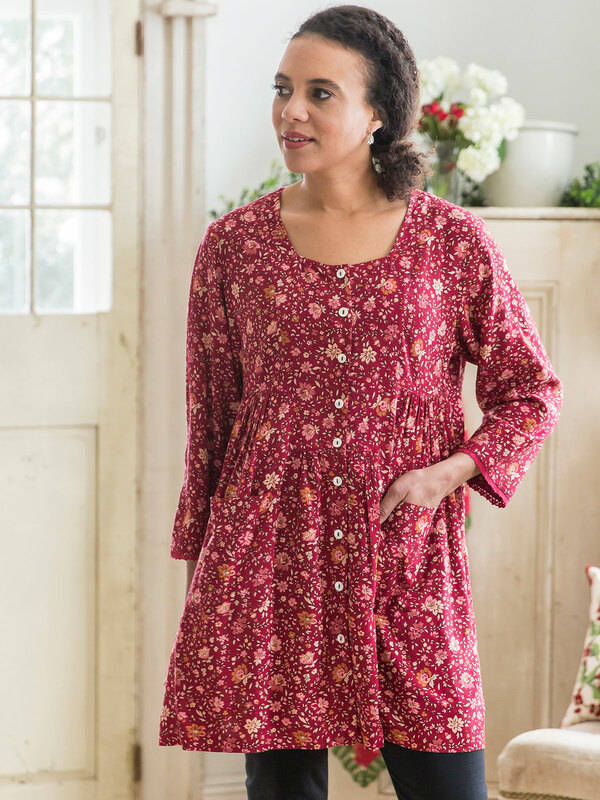 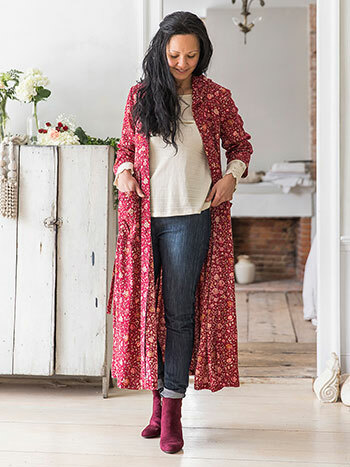 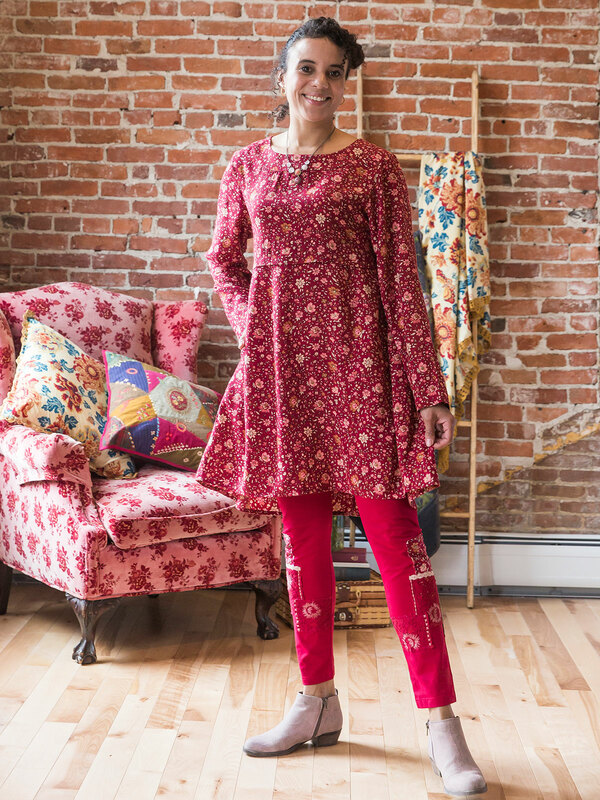 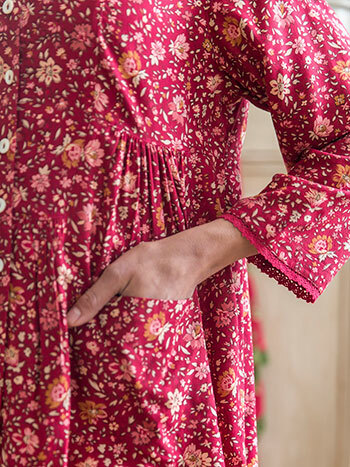 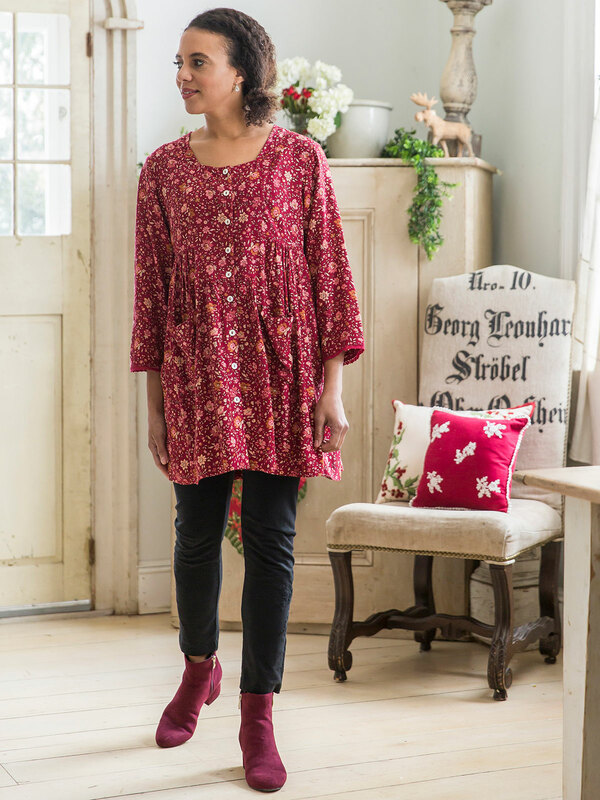 Scrumptiously tart cranberry mingling with old golds and winter cream- the perfect autumn recipe for a style called the Avonlea Tunic. The lightly shaped bodice is defined by gentle gathers and luminous shell buttons, while practical patch pockets enhance this versatile style. 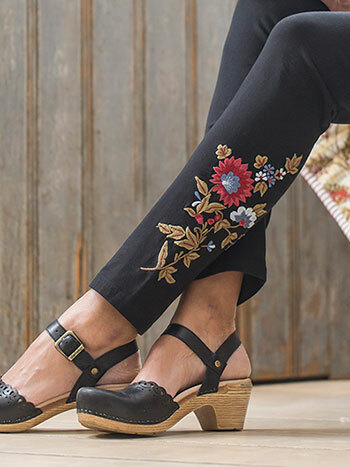 This is a little bigger than I expected but I have the talent for taking things in. 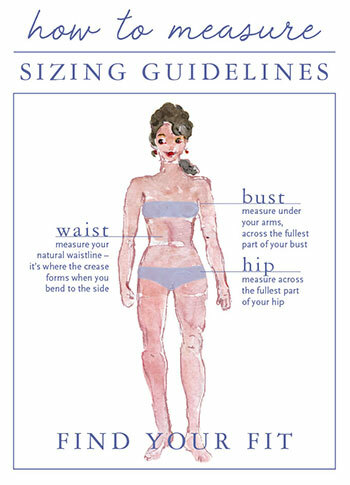 It was also longer than I expected but again, that can be altered. Its very comfortable and perfect for our Fall season.